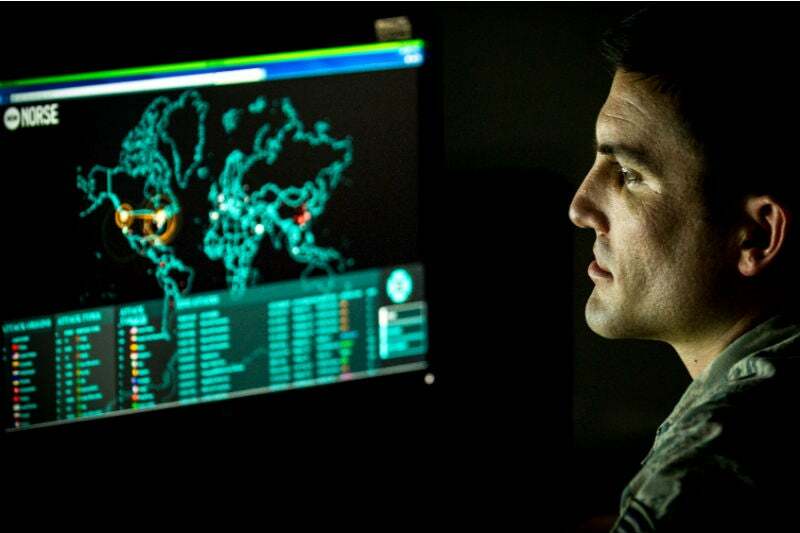 General Dynamics has received an IDIQ contract from the US Army to provide electronic and cyber warfare capabilities. Credit: US Air Force/JM Eddins Jr.
General Dynamics Mission Systems (GDMS) has received an indefinite delivery, indefinite quantity contract (IDIQ) from the US Army to provide electronic and cyber warfare capabilities. Known as R4, the IDIQ cyber warfare contract was awarded by the US Army Contracting Command – Aberdeen Proving Ground. The contract is intended to upgrade the way the US Army Program Executive Office Intelligence, Electronic Warfare, and Sensors procures new cyber capabilities over the next decade. It will involve modernisation of current cyber systems, training, documentation, and support events. With a maximum value of $980m, the multi-award will act as the key source of cyber innovation and delivery for the US Army. General Dynamics Mission Systems vice-president and general manager Bill Patterson said: “The army must sustain its spectrum and cyberspace superiority to enable overmatch in every domain. General Dynamics is making major investments to leverage our entire portfolio of electronic warfare and cyber capabilities to deliver the advantages needed by our Army customers in cyberspace. Under the contract, the company is required to support ‘freedom of manoeuvre on the battlefield’ by providing an array of capabilities related to integrated intelligence, electronic and cyber warfare. Additionally, a General Dynamics-led nationwide team comprising of cyber technology companies will be formed to help attain required cyber effects by integrating technology from multiple technical domains. Earlier in March, the US Army selected Northrop Grumman to deliver a full-spectrum of electromagnetic activities through the R4 contract, including research and technology development, laboratory demonstrations, integrated systems development and support, technical support, logistics, and cybersecurity. Northrop Grumman’s EW contract will help boost the US Army’s non-kinetic lethality across warfare domains.